When you perform in front of an audience after only two days of rehearsal, you’re flying by the seat of your pants – particularly when they’re rewriting the show right up to the moment the camera goes on. I don’t know, in view of the situation and the act going where it was going, I don’t know, the rage did go all over the place. It went to everybody in the room. I’m a performer. I push the envelope, I work in a very uncontrolled manner onstage. I do a lot of free association, it’s spontaneous, I go into character. I’ll get to the force field of this hostility, why it’s there, why the rage is in any of us, why the trash takes place, whether or not it’s between me and a couple of hecklers in the audience or between this country and another nation, the rage. I’m really busted up over this and I’m very, very sorry to those people in the audience, the blacks, the Hispanics, whites – everyone that was there that took the brunt of that anger and hate and rage and how it came through. There’s a lot of labor involved in the birth of a new town. 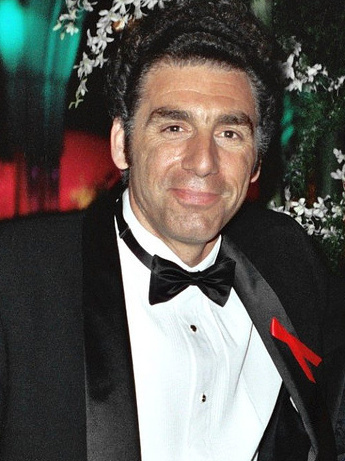 When Seinfeld ended in 1998, Richards returned to stand-up comedy. He incited media furor while performing at the Laugh Factory comedy club in late 2006 after a cell phone video was published of him launching into an expletive-laced racial tirade after earlier interruptions from a group of late-arriving audience members. Subsequently due to significant media coverage of the event he announced his retirement from stand-up early in 2007. He appeared as himself in the seventh season of Curb Your Enthusiasm in 2009, acting alongside his fellow cast members for the first time since Seinfeld's finale, as well as lampooning his incident at the Laugh Factory. In 2013, Richards returned to television when he played the role of Frank in the sitcom Kirstie.